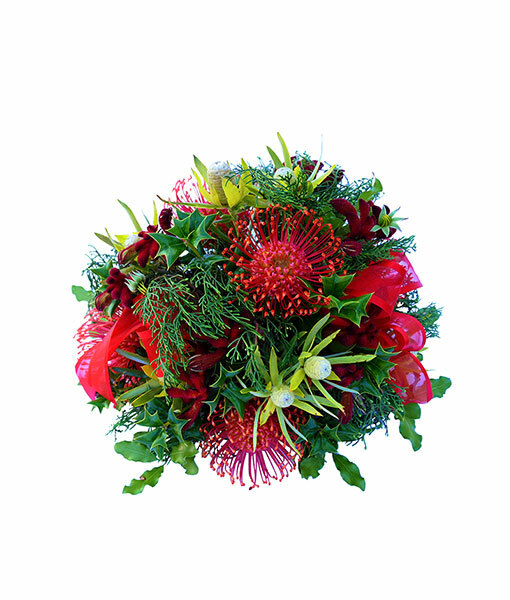 For all your wedding and function needs with wildflowers direct from our farm in the South West of Australia, servicing Dunsborough, Busselton, Vasse, Yallingup, Margaret River and surrounding areas. We will work with you to ensure our visions are the same and contribute our knowledge to your event. Wreaths, floral tributes, floral arrangements for the service. Bouquets, corsages, headbands, halos, posies for Bridesmaids, table centerpieces, bridal table arrangement, large floral arrangements to enhance the ceremony venue. Large floral arrangements, small counter floral arrangements. 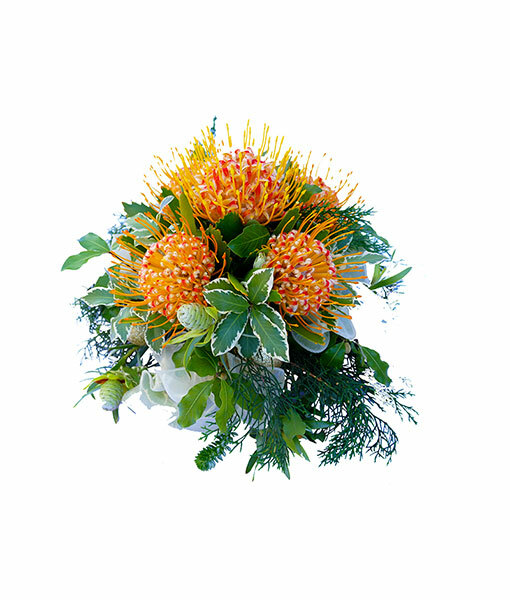 We married at our home near Margaret River, and Cape Flora Estate provided us with the most stunning selection of native flowers and proteas. Large buckets of their flowers decorated our verandah and created a beautiful melding from celebratory flowers to bush. Pam and Tony were thoughtful in providing advice on flower choice and the quality of the flowers was fantastic – they lasted for weeks after the wedding. 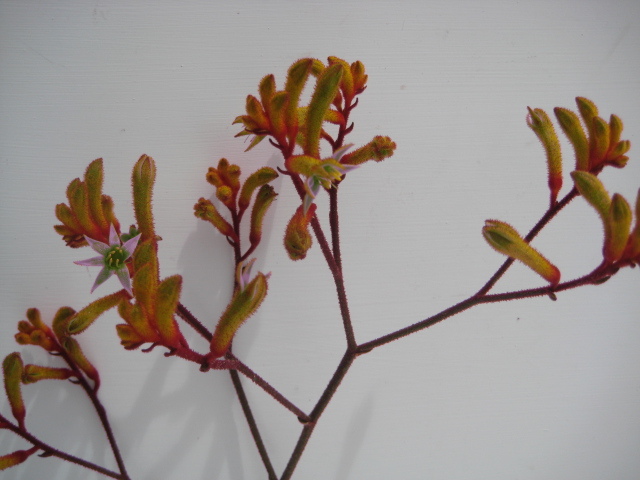 My favourite were the golden/russet stems of kangaroo paws standing 3 ft tall. 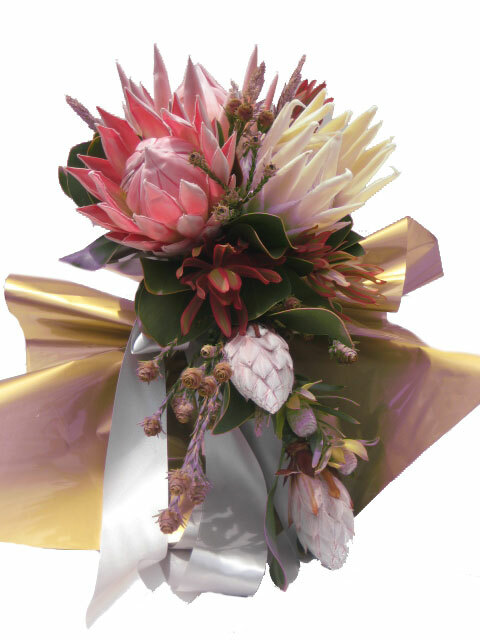 Thank you to Cape Flora for adding such beauty to our day. "Stunning native flowers and THE most beautiful helpful people to deal with. My bouquets, hairpiece, buttonholes and table centrepieces were absolutely breathtaking. Suited my wedding theme perfectly. Can't recommend enough!!!!"